I had the opportunity to host an Open House today at a beautiful home in Chesapeake Beach, Maryland. 3 spacious bedrooms and 2 full over-sized baths--they certainly don't build them like this anymore! It's priced to sell at $259,900. Gorgeous fenced backyard, mature landscaping and a like-new porch with trex decking. All this home needs is some cosmetic work like new carpet and paint...which brings me to my next topic: smoking in the house. It doesn't have to be the end of the world, and there are ways to minimize and even eliminate smoke (or pet smells) from your home when you are ready to list. In the above home, it isn't immediately obvious and the seller is aware of some things they can do to fully eliminate the smoke odor. Step #1 is going to be cleaning your carpets, walls and furniture to get as many odors as possible out. After that, painting the walls and ceiling should help to mask odors. 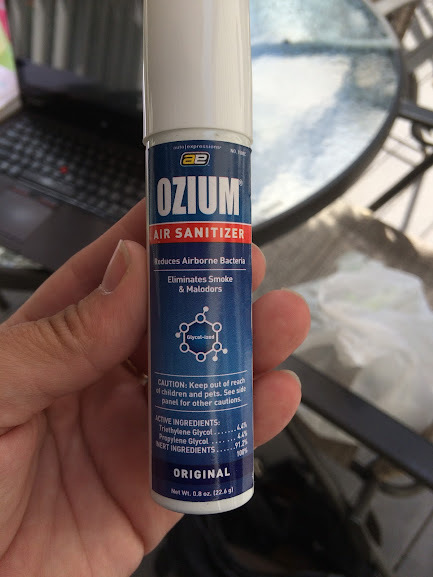 If you have done all of that and still can't get the smell out, or if you need a quick fix, try buying a can of Ozium (below). I found this in an auto store when I was tired of driving a car that smelled funky (don't leave the car windows open during a summer storm and then expect it to just bake dry. Oh, college...). I tried everything: detailing my car, using Febreeze, loading it with air fresheners. It smelled pretty bad for about 3 years until I was ready to sell it and didn't wish that smell on the buyer. I sprayed this inside, ran the air conditioning for about 20 minutes, turned the car off and let it sit overnight. The next day ALL smells were gone! Now that I am in Real Estate full time, I keep this travel size version in my car in case of emergency and to show sellers. I even add these to my seller listing gifts--that's how much I love this product! Just spray for about 1 second in each room and walk away quickly (I can't vouch for how healthy it is, it just works). I'm not being compensated for this product, I just like sharing things that help make your life easier! 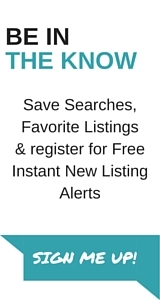 A former client used this product when she listed her home. The day after spraying this her daughter came over and commented on how she could not smell any smoke. This from the woman who could still smell it after her mom bought new furniture, painted and steam cleaned the carpets! My client reconsidered selling after she fixed the house up (which happens more than you think) but I'm glad I was able to gift her with a smell-less home before we parted ways. Have any other odor-fighting tips to share? Comment below, I'd love to hear!